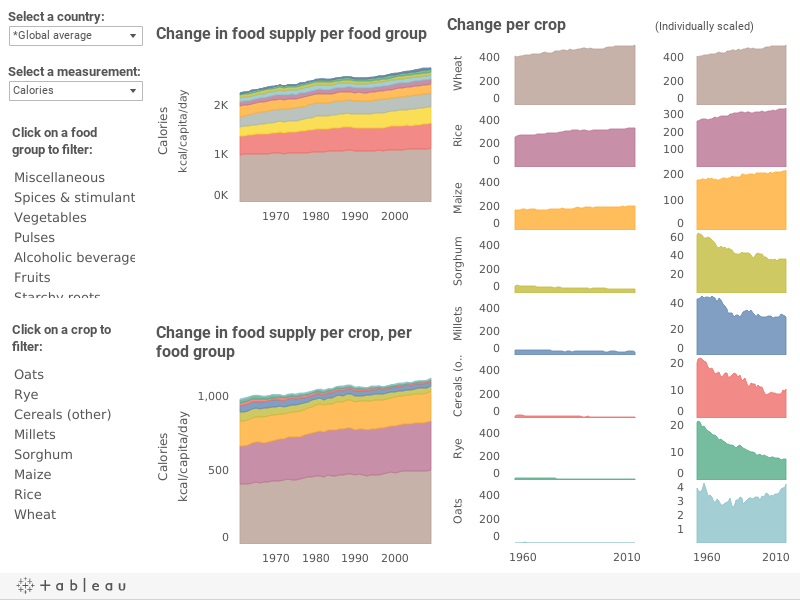 Select a country and a measurement to view changes in the contribution of food groups, and the crop commodities and animal products within them, to the national food supply. Hover over a food group for detailed changes for each crop commodity. Food groups and commodities are listed in increasing order of importance. by Sara Kammlade, Colin K. Khoury, Steven Sotelo, Harold Achicanoy, Anne Bjorkman, and Carlos Navarro-Racines. International Center for Tropical Agriculture (CIAT). Version 1.0 (March 2017).